Admins should be ahead of the game in terms of building out and setting up a plan for an effective use of a customer relationship management (CRM) platform. But how can you keep a pulse on all the different pieces of a broader customer relations strategy moving forward from the planning stages? 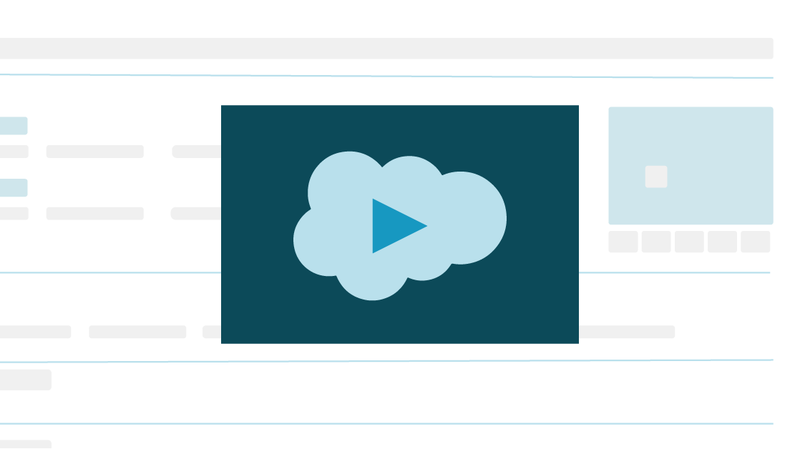 We found four ways that you can keep an eye on your data in Salesforce Classic to learn the ins and outs of the platform and to extend your skills even farther than you imagined. 1. Start getting comfortable with Reports. What better way to monitor your data then to be able to view it on a page, organized how you want it? As a new Salesforce administrator, one of the best ways to get acquainted with the platform and your data at the same time is to create Reports. The drag and drop functionality is user-friendly and the ability to customize and play make learning a breeze. Salesforce gets you started by providing out-of-the-box reports, and once you master the basics, it even gives you the ability to create custom report types. Reporting gives you the ability to set date filters, picking and choosing which data fields you want in your report. Want a real-world example? You can create a report to see how many accounts you have and create report filters to see only accounts with opportunities. See, you’re already monitoring your sales data with just a few clicks! 2. Moving on to Dashboards. Now that you have a few reports created to monitor your accounts and opportunities, it’s time to start smooshing them together in a dashboard. Detailed information is powerful, but sometimes you need a quick glance representation of how your system is doing. Salesforce lets you create a page of reports with each report represented by its own chart or graph. You can create reports and dashboards for things like Accounts and Contacts, but Salesforce also lets you create reports and dashboards for any custom objects you end up creating too. 3. Create your own Custom Object. Salesforce can adapt to meet your needs, and for us Admins, that gives us the opportunity to play! Try creating a custom object and using it as your playground. What is an object, you might be asking? Think of it as a component within Salesforce, like an Account or Contact, and they often have their own tabs. You can create a custom object and call it “Playground,” and start creating different types of fields and even page layouts. You don’t have to make it visible to anyone else, but it gives you the ability to get comfortable with the point and click nature of Salesforce. 4. Learn how to use your Developer Sandbox. We’re all for playing around in Salesforce, but one thing you need to learn very quickly is that you shouldn’t play too much within the live production environment. As you grow with Salesforce, you are inevitably going to want to do more, whether it be updating fields or creating connections to other programs. It happens faster than you think. You do not want to do this for the first time in the CRM that holds all of your sensitive data and that is actively being used by your company! Take the time to use the Developer Sandbox connected to your CRM to practice. Once you practice your changes or test how a feature works, you can start to build your changes in your Sandbox. It’s a safe place, connected to your CRM, where you can build to ensure nothing negative happens for your users or to your data. Once you start creating reports, building objects, and learning more about how Salesforce functions, it will become easier and more meaningful to review your system and its data. You will start to understand what else your company might need from Salesforce and what else you might want to learn within Salesforce. Don’t overwhelm yourself with every possibility or every field the first day you log in. Give yourself time to digest and understand the connections within Salesforce and what your business needs truly are. Slow and steady truly does win the Salesforce race!